The book is about a voyage in an old Albin Vega with a 19 year old student from Sweden to Florida 2007. The translation of title is: The young, the old and the sea. 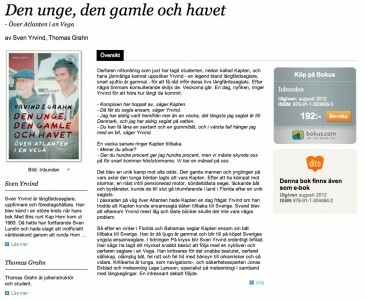 It will be published in August 2012 at Norstedts, Swedens oldest publisher. Click on the picture once or twice to enlarge.